Are you troubled by fine lines and wrinkles but don’t want the downtime associated with laser resurfacing? If so, then ThermiSmooth® may be your answer, as it has been for many women in Fairfield County. As one of the latest developments in wrinkle reduction and skin tightening, ThermiSmooth® increases collagen and smoothes those annoying lines. ThermiSmooth® is safe for all skin types and there’s no anesthesia, surgery and essentially no downtime. ThermiSmooth® is one of the group of advanced radio frequency based technologies from Thermi™. ThermiSmooth® utilizes a unique hand piece to gently heat the surface of the skin, resulting in collagen production, improvement in fine lines and wrinkles and in skin tightening. 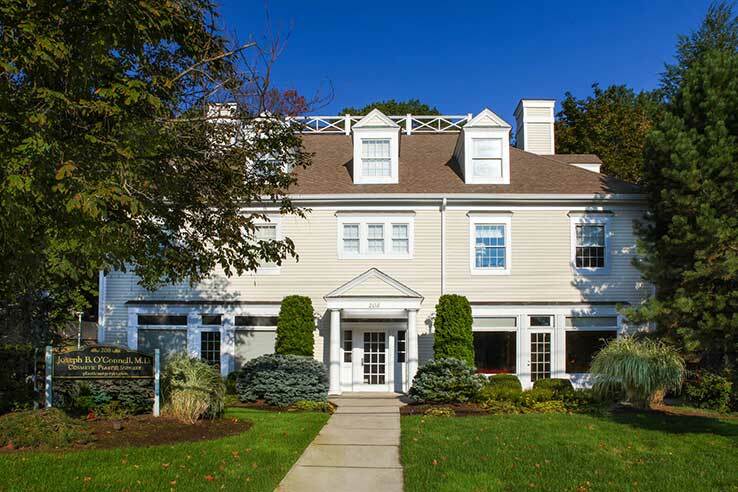 ThermiSmooth® is available in our Westport, Connecticut office. During treatment with ThermiSmooth® a small amount of gel is applied to the skin’s surface. The ThermiSmooth® handpiece is then gently moved over the skin in a circular or sweeping fashion resulting in gradual heating as the system’s computer adjusts to ensure precision and safety. A small zone is treated for a few minutes and treatments are repeated to achieve the desired aesthetic result. Who is a ThermiSmooth® candidate? Candidates for treatment with ThermiSmooth® are generally those with fine lines and wrinkles, and mild skin laxity. Commonly treated areas include crows feet and perioral lines but the possibilities are almost endless! During your ThermiSmooth® consultation Dr. O’Connell will thoroughly review your medical and surgical history. The areas of concern will be examined and all your questions will be answered. Potential alternative treatments along with their risks and possible complications will be reviewed in detail. Following treatment with ThermiSmooth® there is essentially no recovery time. In Westport, Connecticut our patients return to their routine activities immediately. The treated area may be slightly red for a short period of time. How many ThermiSmooth® treatments will I need? Treatments with ThermiSmooth® feel like a warm massage and are repeated several times. The exact number of treatments varies depending upon the area being treated and the desired cosmetic result. A series of 3 treatments is a general benchmark. How soon will I see results with ThermiSmooth®? Most patients see some improvement after just the first treatment. With additional treatments results are more dramatic with full results developing over 3 to 6 months as new collagen is produced. Can eyelids be treated with ThermiSmooth®? ThermiSmooth® is achieving excellent results in treating hooded upper eyelids. Its advantages over traditional upper blepharoplasty include no need for anesthesia, incisions or recovery time. One of the most popular applications for ThermiSmooth® is to address skin excess and wrinkling in the lower eyelids and crows foot areas. This is an increasingly popular alternative for younger patients who either don’t need blepharoplasty or laser resurfacing or wish to avoid the recover period associated with these procedures.